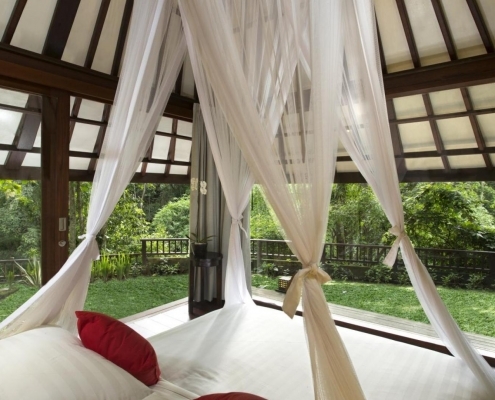 This wooden pavilion houses this romantic and extremely charming bedroom. 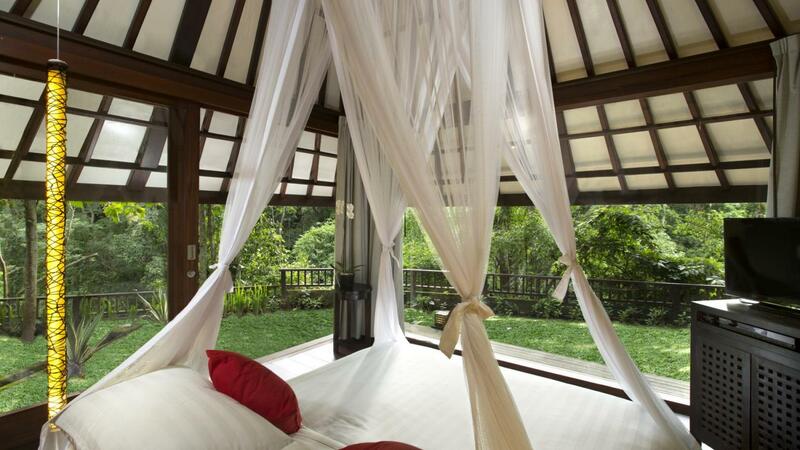 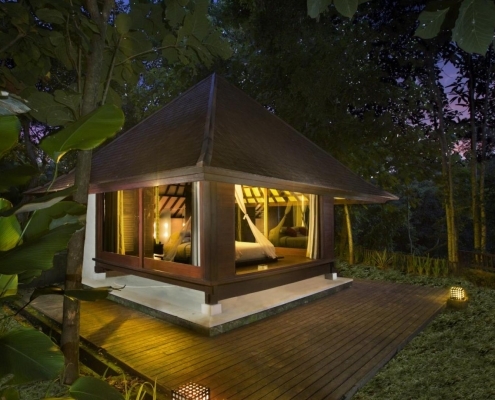 Surrounded by jungle, it is perfect for couples or younger people to enjoy Bali’s beauty. 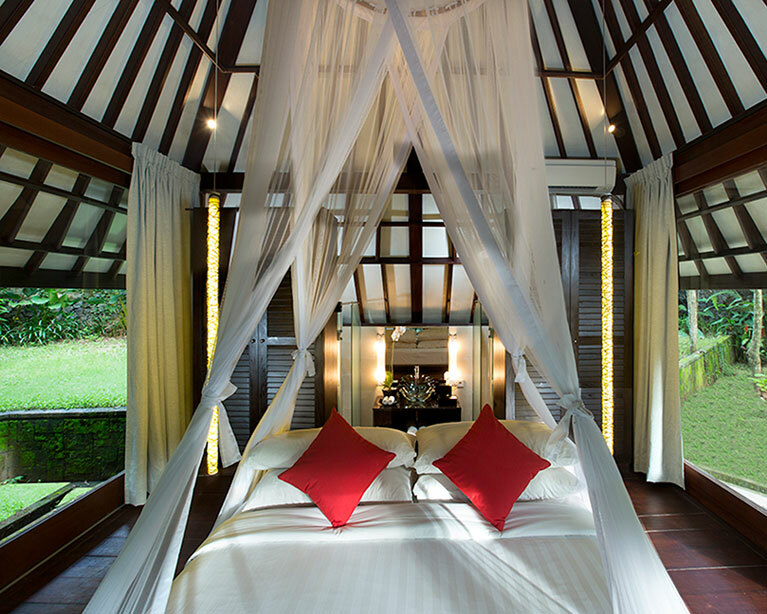 It has a Japanese style king-sized bed under a decorative mosquito net. 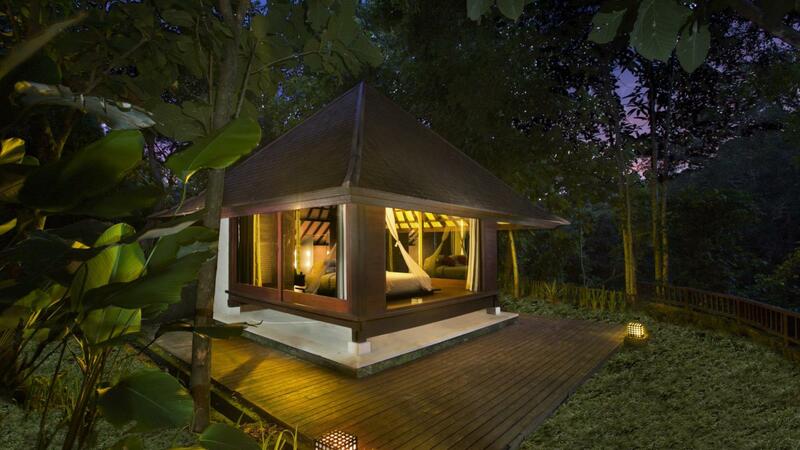 Stairs lead to a bathroom with shower, one wash table and toilet. 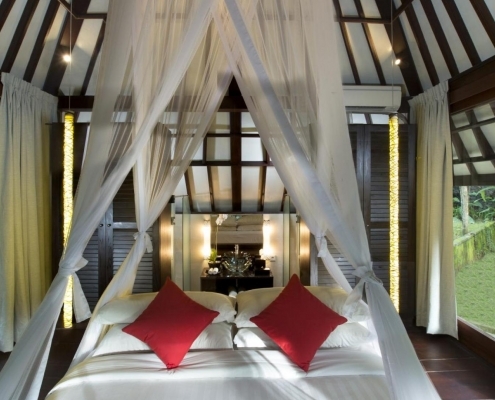 The size of this bedroom is much smaller than our large luxurious bedrooms but has a unique and romantic atmosphere. 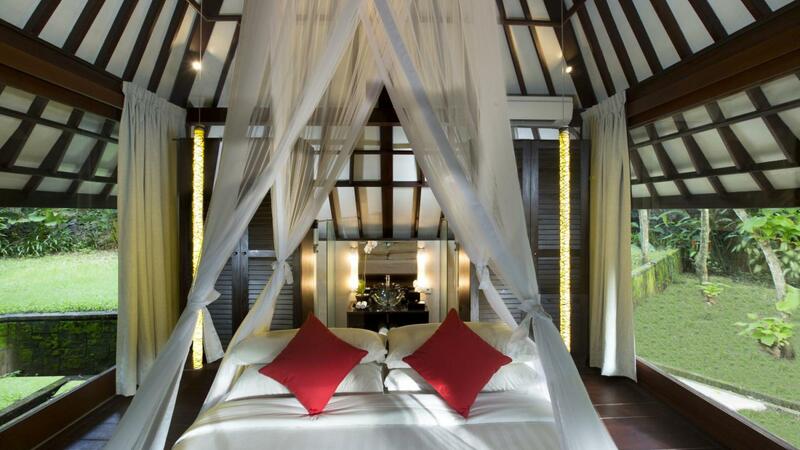 Sleeping in this bedroom is an experience.